The Barcelona Expansive Model “BExM” (Gens and Alonso 1992; Alonso et al. 1999) is a constitutive model describing the mechanical behaviour of expansive soils formulated in the framework of hardening elasto-plasticity. 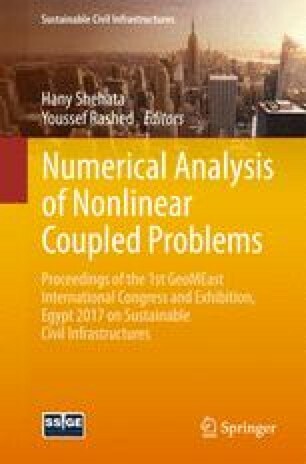 This paper demonstrates the derivation of the incremental stress-strain relations for expansive soils using BExM model, and discusses the implementation of these relations into boundary element method.